The last IpBoG of the year. For me it was all about dice games. I'd brought Quarriors along with the Quartifacts expansion. I played a couple of games over the evening. It's basically Dominion with dice. For me that almost takes away any strategy and turns it into a bit of a luck-fest. I also brought and played Tiny Epic Galaxies. Another dice game and, although it can be a bit luck dependent, I think there's more strategy than with Quarriors. It's also a bit shorter so there's a better luck to length ratio. Or maybe I'm just feel like that because I won this game but lost both of Quarriors. 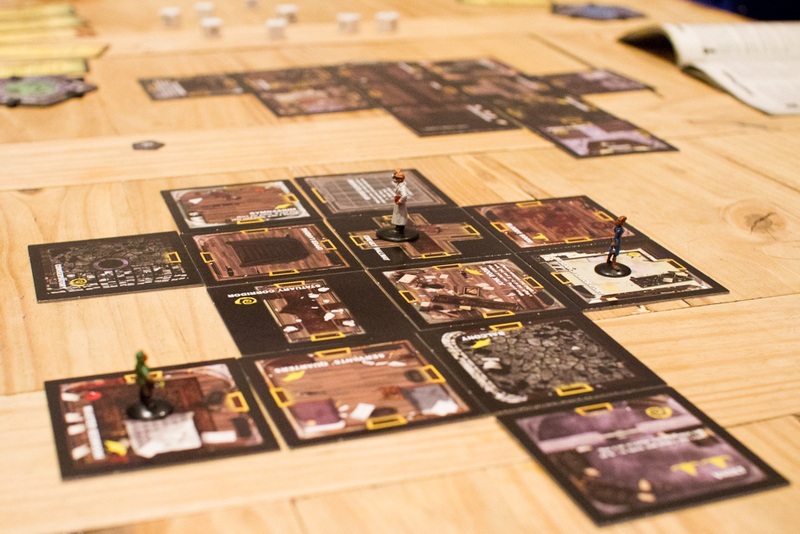 Cath brought some friends along and they played Betrayal at House on the Hill. I think the scenario has something to do with kittens. I guess some kind of scary, evil kittens. They also played Coup and Skull. No kittens were involved. Other people played Red7, Chinatown and For Sale. Next week is Christmas and Cult is closed so we'll be skipping IpBoG for a week. See you all next year.